Why Do Healthcare Professionals Still Choose Mercury Sphygmomanometer? Monitoring your blood pressure regularly provides a number of benefits. First, it lets you make early diagnosis of abnormal blood pressure level. From the BP monitoring result, you and your doctor are able to determine what is the best care or treatment for your condition. Another advantage of checking your blood pressure is that it makes you become more responsible at the same time boosts your self-control. Being at risk of hypotension or hypertension likewise enables you learn how to avoid those things that will aggravate your condition. And with that, you gain a stronger sense of responsibility. 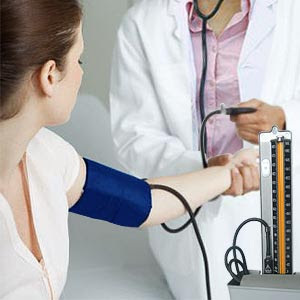 Moreover, maintaining your BP reading within normal level definitely reduces your healthcare expenditure. Checking your BP level is not possible without the aid of a blood pressure device called sphygmomanometer. It is one of the most important medical instruments that should always be found in every home. The sphygmomanometers, just like any other hospital and home medical instruments, have also undergone series of improvements. The first type of BP monitoring device was invented by Samuel Siegfried Karl Ritter von Basch and this instrument is universally known as mercury sphygmomanometer. After this, a BP device with manometer or an aneroid sphygmomanometer is then discovered. When electronic devices become popular, digital or electronic blood pressure devices are also introduced in the market. This latter version of sphygmomanometer is offered with manual or automatic inflation. Although more innovative and user-friendly blood pressure devices are now offered in the market, many healthcare professionals, including myself, still prefer to use mercury sphygmomanometer for some reasons. First of all, this medical instrument cannot be decalibrated so you do not have to clean or repair it regularly. In terms of reliability, you can expect that this type of blood pressure device will always give you a consistently accurate result. Additionally, the mercury sphygmomanometer is cheaper than the modern styles. At some point in our life, many of our body organs and/or senses will degenerate. And vision has no exemption to that. The normal vision is 20/20, which means the person is able to read or see the objects even if it is 20 feet away. But because of lifestyle, accident, disease, or hereditary factors, our visual acuity becomes poor overtime. Fortunately, along with the advances made in technologies, eye specialists find solutions for us to maintain good eyesight. It may be through surgery, wearing of eyeglasses or contact lenses. How will we know if it is now time to wear eyeglasses or contact lenses? That will be based on the eye examination result. The ophthalmologist or the person in charge for indentifying eye problems will first conduct an external eye examination then followed by visual acuity. 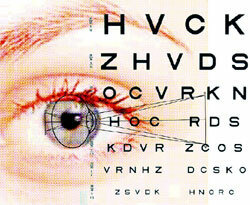 In determining visual acuity, the ophthalmologist basically makes use of a medical instrument called eye chart. This is one of the important tools being used by eye specialist in determining whether a person is experiencing eye problems or not. To determine the visual acuity, the ophthalmologist will request the patient to read the characters provided on the eye chart while standing 20 feet or 6 meters away from the chart. Every line of character has a corresponding value. The ability to read the smallest character means having good eyesight. Aside from testing the visual acuity, the amplitude of accommodation test is the next step. In this examination, the eye specialist wants to find out your ability to focus clearly on objects when they are placed near. Your ability to identify the right color is also checked, followed by a cover test, stereopsis, and extraocular motilities. The ophthalmologist will also check the condition of your internal eye including the pupil, its blood vessels, retina, and the likes using specialized medical equipments. If for instance your examination brings you good result, then you’re lucky. However, if eye problems arise, treatment will depend on the severity of the disorder.